During the school year you’re able to establish a routine and your family becomes a well-oiled machine in maintaining it — and then summer vacation hits, and any resemblance of a routine goes out the window! Each kid dives into summer vacation exploring their boundaries and what they can get away with, so perhaps they’re staying up later than usual and eating all the foods that were banned during the school year! As the excitement of summer vacation wears down a bit, it’s a good idea to re-establish a routine — especially when it comes to their dental health! 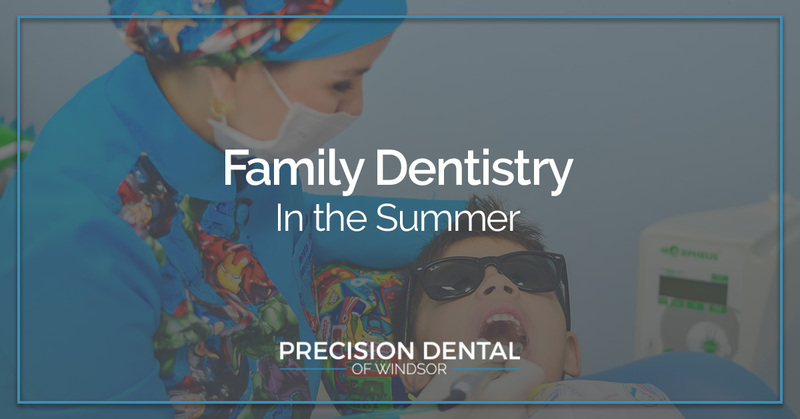 At Precision Dental of Windsor, your family’s dental health is our priority year-round. 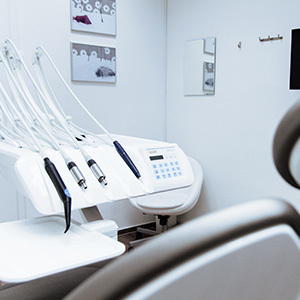 We provide patient-centered family dentistry, to guide and educate you through all of your dental health issues including preventative care and emergency care. Follow along in today’s post, and learn about how you can implement the best dental health practices to your family — even in the summer! Summer vacation is a whimsical time for kids as they’re allowed more liberties than in the school year, which means their dental health can easily decline with the number of popsicles and late-night, toothbrush-free slumber parties that occur. 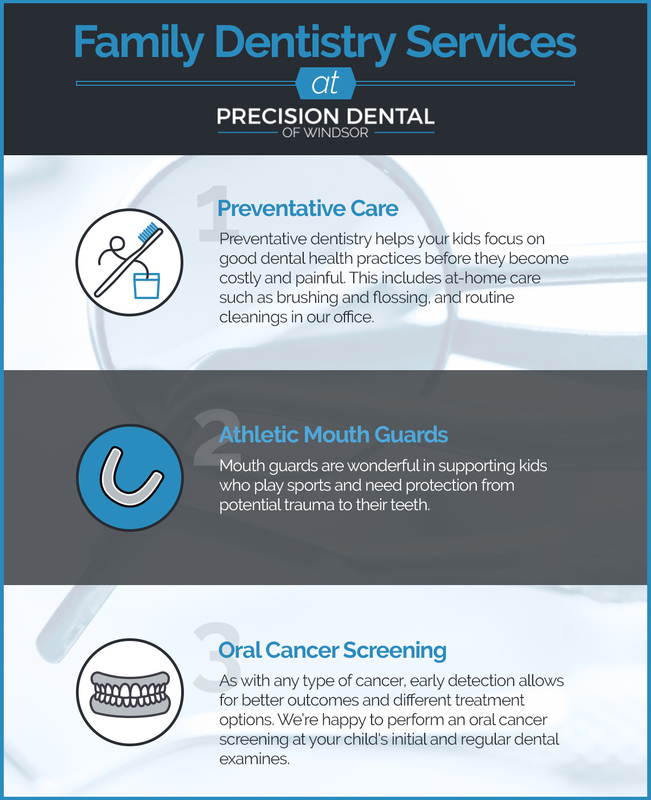 Below are some ideas and considerations to take when it comes to your child’s dental health in the summer. Re-establish a routine – This is one of the best things you can do for your child’s dental health — get them back on a schedule. Make sure they’re brushing at least twice a day, preferably in the morning and again at bedtime. Regardless of their age, check in with them and make sure they’re keeping good oral health practices. Make dental health easy – If your kid is constantly in and out of the house going from swimming lessons to a friend’s get together, make their dental health easy by packing a kit they can throw into a backpack. Stick the essentials in: a toothbrush, toothpaste, and floss. To make it even easier, give them the floss picks! Monitor their snacking – While you can’t control the abundance of fruit snacks and ice cream at their friend’s houses, you can at yours! Create healthy eating habits with them at home and avoid sugary, starchy, and overly-processed food and drinks and incorporate plenty of vegetables and fruits, like carrots and apples that naturally scrub and clean the teeth! Schedule their dental visit earlier in the summer – Our offices become packed in August for last-minute dental checkups, so scheduling it earlier allows you to pick a time that works for everyone and give us the opportunity to identify any areas in which your child can get better at (heads up, it’s usually flossing). Talk teeth safety – To avoid any dental emergencies or trauma, talk with your kids about teeth safety. This will include covering pool safety (walking safely so as to not slip and fall damaging teeth) and sports safety (wearing a mouth guard where necessary). The summer is a great time for kids to let loose, but help them maintain summer dental health by re-establishing a routine, making dental health easy for them, monitoring their snacking habits, getting dental checkups early in the summer, and talking with them about teeth safety. To schedule your summer appointment now, connect with our office!